With over 25 resorts, and many of the largest in the nation, Colorado has a ton to offer skiers and riders looking for lift-accessed turns. However, sometimes the traffic, the waiting and the general hubbub of a big resort can turn what’s supposed to be a relaxing outing into a stress fest. Luckily, our state is also home to smaller, independent areas that deliver big on all counts. With stellar snow, ample space to shred, chill vibes, and affordable prices, these hidden gems offer a classic Colorado ski experience that makes you remember why you love skiing here. The Deal: Above the desert on Grand Mesa, the world’s biggest flattop mountain, this understated resort near Grand Junction boasts stellar views, short lift lines, impeccable tree skiing, 250 inches of fluffy pow, and a family-friendly vibe. Don’t Miss: With five lifts—including The Flat Top Flyer, a high-speed quad launched in 2015—serving 42 trails, two terrain parks, and loads of beginner and intermediate runs, Powderhorn is ideal for skiers and snowboarders of all ages and skill levels. The Deal: Perched on Tennessee Pass just 10 miles from Leadville near the former training site for the legendary World War II ski troops of the 10th Mountain Division, Ski Cooper delights those who venture here with plentiful, billowy, all-natural snow—not to mention short lift lines, lengthy runs, and spectacular views of the state’s highest peaks, including Mounts Massive and Elbert. Don’t Miss: All the diverse terrain—think cruisers, bumps, trees and inviting backcountry—means that skiers of all stripes will find adventure and powder stashes at this resort nestled in the heart of the Rockies. For something a bit spicier, book a guided Chicago Ridge Snowcat Skiing excursion where you can spend the day enjoying serene, crowd-free turns in open bowls and glades through an area comparable in size, length, pitch and vertical drop to Vail’s Back Bowls. Wrap up your experience with a visit to Cooper’s new Mountaintop Yurt. Here you can soak up the never-ending views during the day or head up in the evening for an unforgettable Moonlight Mountaintop Yurt dinner experience. 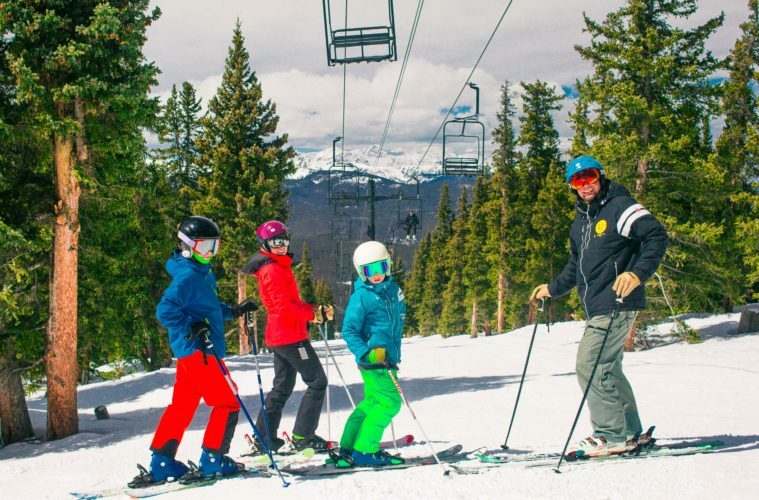 The Deal: Wide-open terrain, gentle slopes, constant trail grooming, exceptional service and convenient access make this family-owned resort a long-time favorite for diverse groups. The trails here run the gamut from beginner to advanced—including tight trees, open bowls and a terrain park—and they all start and end at the same point, so each member of a family or group can ski runs that match their skill level and still meet up at the bottom. Don’t Miss: It’s the ideal place to learn in a safe environment, largely due to the fact that half of its runs are rated for beginners. The professional instructors at Granby Ranch Snow School bring skiers and riders through a unique progression that allows faster improvement, and they incorporate a gentle beginner hill with seven Progression Terrain Parks so students can connect turns and perfect jumps quickly. The Deal: Known for getting the most snow in state—the place averages a whopping 430 inches of the fluffy stuff per year—this chill ski resort perched at 11,900 feet on the Continental Divide makes dreams come true for powder hounds seeking fun, challenging, uncrowded slopes. Don’t Miss: With the addition of a 10th lift this season, a high-speed, detachable quad named the Charity Chairlift, skiers and riders will gain even more access to the trees, snow stashes and steeps characteristic of the 900-acre Alberta Area.